This super B Complex supplement is packed with nutrients to help support a busy and demanding lifestyle. 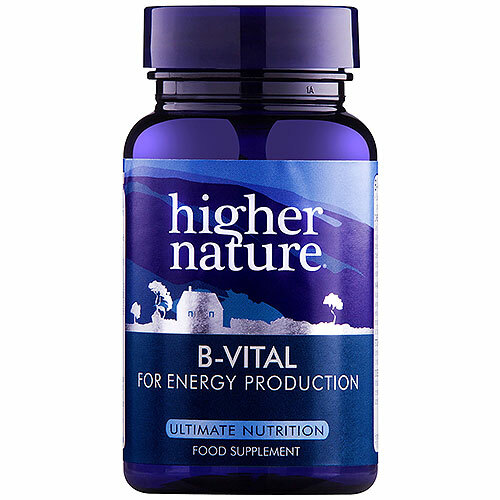 B-Vital provides a high-intake level of all the B Complex vitamins and Vitamin C, plus three kinds of Ginseng to help maintain adrenal function. What does the B Vitamin Complex do? Help support and maintain a healthy metabolism. Maintain healthy skin and muscle tone. Help support and maintain healthy immune and nervous system function. Ginseng is a famous Chinese herb. It can be used to help maintain proper brain function and memory, energy levels and the immune system. Tableted with natural ingredients; Natural Lithothamnion calcarea, cellulose, vegetable magnesium stearate, zein protein coating, silicon dioxide. Bulking agent: natural Lithothamnion calcared; Vitamin C (as ascorbic acid), pantothenic acid (as calcium-d-pantothenate), siberian ginseng, cyanocobalamin, bulking agent: cellulose; thiamin hydrocholride, niacin (as nicotinaminde), american ginseng, korean ginseng, vitamin B6 (as pyridoxine hydrocholride), riboflavin, anti-caking agent: silicon dioxide; niacin (as nicotinic acid), riboflavin (as riboflavin-5-phosphate), vitamin B6 (as pyridoxal-5-phosphate), folic acid, d-biotin. Adults: Take 1-3 tablets a day with meals. Children over 5 years: Take 1 tablet a day with meals. 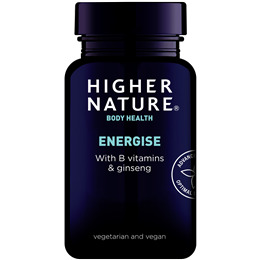 Below are reviews of B-Vital - Super B Complex and Ginseng - 90 Tablets by bodykind customers. If you have tried this product we'd love to hear what you think so please leave a review.